I am 29, happily married and have lived in Adelaide all my life. I have a house in Goodwood, close to the CBD, and ride my bike to and from work. I have been a lawyer at Wallmans for around 6.5 years. I moved into the tax and superannuation team in early 2009. Most of my work is personal tax planning, commercial transactions or objections. I work under three partners in our tax and superannuation team. My role is to save the partners time, and be a user-friendly interface with clients. My typical day might involve some client meetings, phone calls and emails, a few hours of fact find and problem solving, and a few hours of drafting documents and advice. I have been on various committees and sub-committees over the past few years, and have presented a handful of technical sessions with two more booked for November. My main boss believes that The Tax Institute provides an excellent forum for gaining market place recognition. My experience is consistent with that. I have met great people and had lots of good laughs. 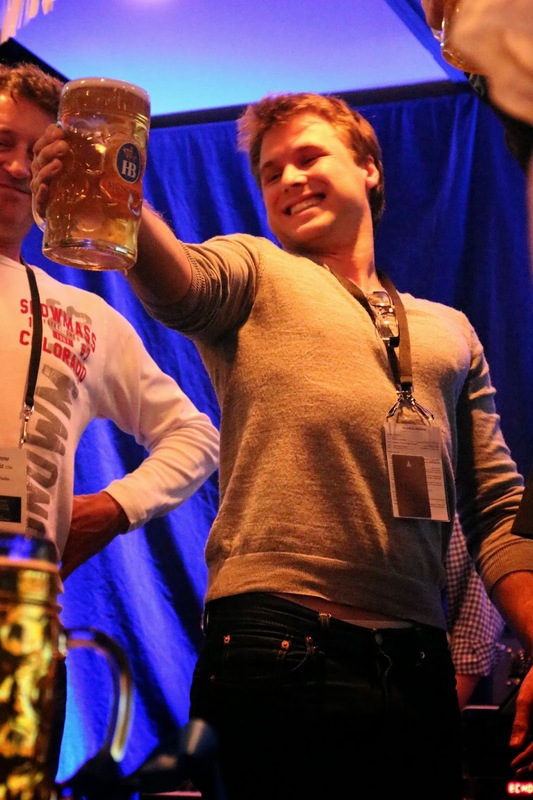 Winning the Beer Stein holding competition at the 2013 SA State Tax Convention. I was only 17 minutes short of the World record (of 20 minutes). Promotions are a highlight. I get a lot of satisfaction in my job generally because it is primarily a value add job. Each presentation for the The Tax Institute, particularly looking back, has also been a highlight. I have been a member since July 2010. It is a difficult time for graduates. I would say "it all adds up" and just keep going. We are looking for a tax junior so there are jobs around. If you are trying to get a job through a clerkship or placement program, then getting a guernsey is probably more about who you know than what you know. Sound out contacts who might put in a good word for you. Be flexible when you start and work hard. Getting along with people and demonstrating good enthusiasm is important. Working in tax requires a lot of training and up-skilling, and your work superiors need to want to put in the time with you. Basically they need to like you. Longevity and loyalty is a big concern for employers. If you can convince an employer that you are in it for the long haul then that may help. My wife and our goals. We are ambitious. I think that the winning formula for me is to surround myself with the right people and persevere no matter what. I particularly enjoy weight lifting, rock climbing, sport in general, travel, camping, fishing, handy-man stuff, cooking, reading and quiet contemplation. I have a diverse group of friends, and a supportive family. The Cook Islands, Rarotonga. It is the best. Absolutely amazing people and scenery. Couldn't recommend it highly enough, and can't wait to go back.